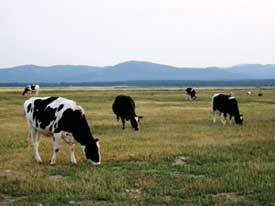 The Flathead Watershed has a long tradition of agricultural land uses. Tribal people managed land for native plant harvest, and later raised horses, cattle and other crops for subsistence and trade. As non-Indian settlers moved in, they began raising cattle and growing crops for a living. Today a substantial portion of land in the watershed remains in agricultural production. Agriculture contributes to the economy, offers a remarkable bounty of foods and natural medicines, and plays a vital role in preserving the culture of the watershed. At the 2007 agricultural census (published in 2009), Flathead County had 1,094 farms totaling 251,597 acres (101,818 hectares), with the average farm size at 230 acres (93 hectares), and Lake County had 1,280 farms totally 637,306 acres (257,908 hectares), with the average farm size at 498 acres (202 hectares). Most of the farms in both counties were in the 10 to 49 acre (4 to 20 hectare) range. Many of the smaller farms are family specialty farms and not likely providing a primary source of income to their owners. Less than 100 farms in Lake County and less than 50 in Flathead County were 500 acres (202 hectares) or greater. In 2007 there were 320 farms in both counties each farm with annual sales over $50,000. These farms are likely to be primary occupations of the landowners. The market value of products sold for the two counties combined was $85,156,000, with $44,160,000 from livestock and $40,996,000 from crops. Crop sales made up 52% and livestock 48% in Flathead County, whereas crop sales were 45% and livestock 55% in Lake County. In 2009, Flathead and Lake Counties produced 58,800 head of cattle, of which 36,200 were sold for beef and 400 were for dairy. In addition to cattle producers, there are a few goat and horse ranches, as well as several pork and egg producers, and two remaining dairies. 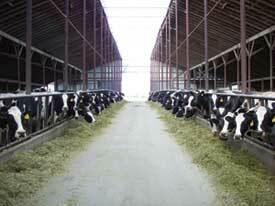 The Brenneman Dairy produces eggs, compost, grain, hay, Holsteins, and milk which it sells to Meadow Gold. 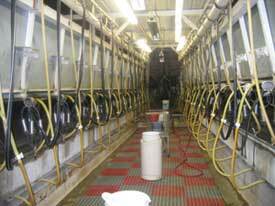 The Hedstrom Dairy produces Holsteins and recently opened the Kalispell Kreamery, where they are producing, bottling, and selling their milk on site. Many areas of the watershed have deep, well structured soils capable of producing a variety of crops. 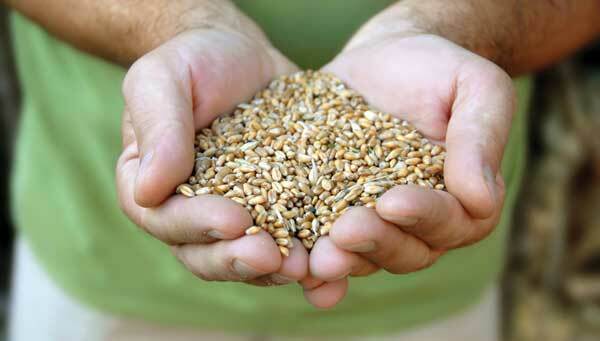 Some of the major crops produced in the watershed include alfalfa, barley, corn, flax, grain hays, lentils, oats, peas, silage, squash, and wheat, as well as livestock pasture. Specialty crops include canola, lawn sod, mint, mustard, grapes, raspberries, strawberries, and seed potatoes. Apples and cherries, which are usually grown at lower latitudes, are grown along the shores of Flathead Lake where the lake produces an exceptionally moderate climate. Periodic freezes can still kill a large percentage of the trees, as occurred in the early 1990s. Most of those trees were replaced, many with newer varieties that are now being tested to extend the growing season. Farming in the Flathead Watershed comes with a high degree of uncertainty. 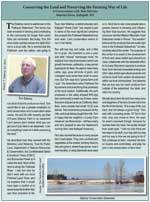 Farmers in the Flathead are pressured by national and international market forces as well as unpredictable weather. The growing season—the number of days above 32°F (0°C) for five out of ten years—ranges from 104 to 135 days per year depending on location. The last spring freeze generally occurs in late April and early May and the first fall freeze occurs by mid-September. Surprise early or late freezes and drought can devastate the industry. The drought in the summer of 1999 reduced hay crops and necessitated the purchase of supplemental feed for cattle in the following winter, taking a huge financial toll on beef producers. There are a number of family farms in the Flathead Watershed whose owners work together to preserve the historical, cultural, and family values they have always known. Unlike large corporate farms, small family-owned farms are generally run by people who live on the land and protect the soil that sustains them. FarmHands is a group of Flathead farmers and consumers who work together to build and maintain a strong local bond between the people who produce food and the people who eat it. Their mission is to protect the area’s rich working farmlands for future generations. Citizens of the Flathead Watershed can buy vegetables, fruits, herbs, flowers, plants, grains, eggs, milk, beef, and pork at farmers markets and through Community Supported Agriculture (CSA) agreements—all locally grown by their hard-working friends and neighbors. The Mission Mountain Food Enterprise Center is a non-profit, economic development center dedicated to assisting farmers, gardeners, fishermen, restaurateurs and manufacturers with a passion for producing great food. The Center consists of a commercial kitchen, food processing center, market association, and a business and cooperative development center. Local farmers join artists and craftspeople throughout the summer to sell their produce and products at farmers markets. Farmers markets in Bigfork, Columbia Falls, Jocko Valley, Kalispell, Polson, and Whitefish offer foods, crafts, and sometimes music, appealing to locals and visitors alike. 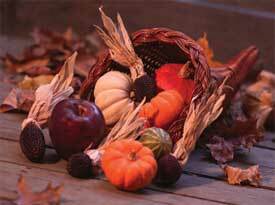 Small acreage and specialty crop farmers sell from baskets of fruits, vegetables, herbs, and flowers. Some pork producers even sell their products from mobile refrigerated trucks. 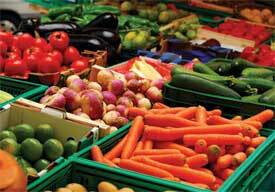 Many families start their weekly grocery shopping at the farmers markets, and go to the grocery store only for the items they were unable to purchase fresh. Huckleberries are a native fruit that grows wild in the Flathead Watershed mountains and valleys. The fruit is as popular with people as it is with bears. Some of the best huckleberry picking can be done in the Flathead National Forest, particularly alongside roads and in areas that have been opened by timber cutting and forest fires. The small purple berries are ripe from July to October, and while there is no permit required on Flathead National Forest land, there is a limit of 10 gallons (38 L) per adult. Huckleberries are sweet, high in vitamin C, and are popular for pies, waffles, jam, ice cream, and smoothies. 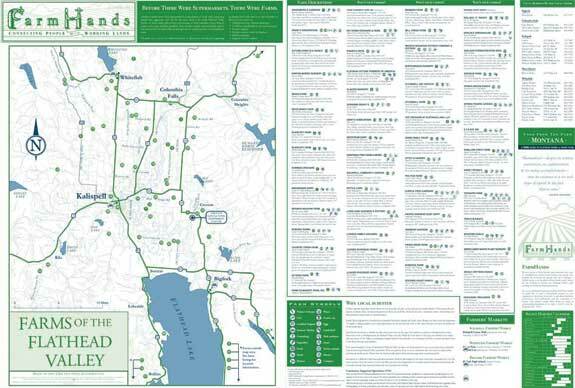 The roads and highways come alive with roadside stands throughout the watershed in the summer months. Montana’s huckleberry industry has been around in some form since the 1930s, from Grandma canning and storing them in the cellar to large commercial operations. Several locals have made full-time businesses out of huckleberries, making preserves, coffees, candies, and other products. Eva Gates Homemade Preserves in downtown Bigfork—the oldest huckleberry business in Montana—began with Eva making preserves from her strawberry patch in 1949 when the patch was unusually abundant. With her husband George’s encouragement and a wood burning range in a log cabin, she turned her passion into a business that expanded to include the local huckleberry harvest. Eva’s children and grandchildren carry on the family business today using the same additive- and preservative-free processes and recipes handed down to Eva by her grandmother. All the company’s preserves and syrups are homemade in their cozy shop on Electric Avenue. Doug Allard’s descendents have a Huckleberry Jam Factory at the Trading Post in St. Ignatius, where they sell jam, syrups, and other huckleberry products. Tour buses with passengers from around the world stop by the Trading Post’s huckleberry kitchen on their way to Glacier Park. The Trading Post draws in movie stars and TV news anchors for a taste of huckleberry jelly or a scoop of huckleberry ice cream on the patio next to the kitchen. Although tourism is a big part of the business, the Trading Post sells huckleberry products to local grocery stores, gift shops, and other businesses. Doug Allard, a member of the Confederated Salish and Kootenai Tribes, opened a souvenir store in 1973 which over the years expanded to include a gas station, convenience store, motel, an Indian museum, and huckleberry products. 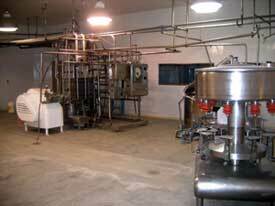 Huckleberry Haven near Glacier National Park has been making huckleberry products since 1987. They now make syrups, teas, coffee flavoring, candy, vinaigrettes, pie fillings, flapjack mixes and more from huckleberries, chokecherries, elderberries, Saskatoons, Buffalo berries, and rosehips. 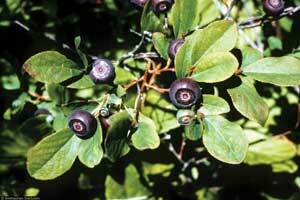 There are many other large and small huckleberry product producers throughout the watershed. Numerous food crafters make and sell huckleberry and other local fruit products at popular farmers markets and craft fairs. The huckleberry harvest is celebrated in August each year throughout the Flathead Watershed. The popular Huckleberry Days festival in Whitefish is a three-day event featuring arts, crafts, a pie-eating contest, a huckleberry cook-off, and a variety of huckleberry foods, drinks, and skin care products. The Swan Lake Huckleberry Festival takes place on the shores of Swan Lake with music, raffles, a silent auction, lake activities, lots of huckleberry-laden foods, and the fierce Huckleberry Baking Contest. The conversion of agricultural land to residential uses is a concern of residents throughout the watershed. The increasing cost of land, fuel, machinery, and labor make agricultural production less viable than it was even a decade ago. In particular, land values have increased as residential developers compete for land, making agricultural uses unjustifiable. Current farmers are aging and younger people interested in farming cannot afford the investment required to get started. Ironically, the culture and customs of agriculture are at risk because of the increased land values resulting from people who desire to live in rural areas.